A week or so ago, I mentioned that Auralux: Constellations would soon launch on Google Play. As a big fan of the first Auralux, I was happy about this. The game is now available on Google Play, free to download, and it’s way better than I initially anticipated. While the overall gameplay is still the same real-time strategy concept as the first title, there have been major improvements made to the graphics and feel of the game. Everything seems much smoother, especially when commanding larger forces. To go along with those updated graphics, you can even change the color of your forces, choosing primary and secondary colors. You can even change the colors of your enemies. 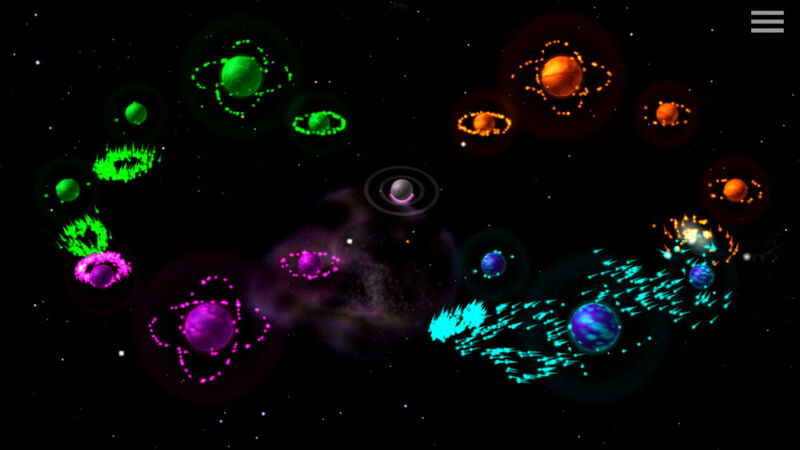 Beyond the same single player RTS gameplay, Constellations also features a multiplayer mode, perfect if you are completely done dominating the computer. For those who win a lot of matches against the computer and other real players, you can unlock additional in-game designs for your forces. If you are a fan of the first Auralux, or just want to give Constellations a try, I highly recommend it.